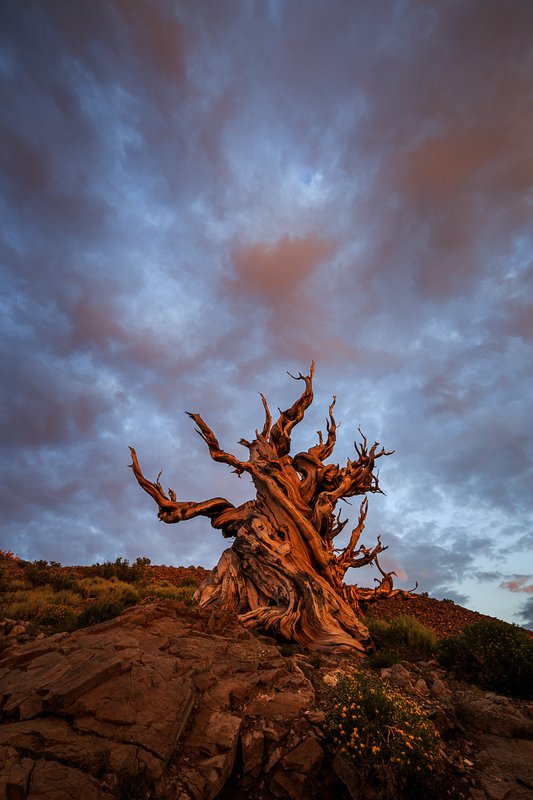 The Ancient Bristlecone Pine Forest is a 24 mile drive up from the town of Big Pine, but it's also 6000 feet higher, so expect a steep, narrow, winding road. Light afternoon showers are perfect for clearing clouds at sunset, and blue hour light into the evening. An image from my visit to the Bristlecone pines earlier this month, as a storm was breaking up and sunset was mixing with blue hour light.